Karen Wise received her Bachelors Degree from Northeastern Illinois University where she majored in Art and Secondary education and Middle School education with an emphasis in studio ceramics. Karen currently works for Shimpo Ceramics, a pottery equipment manufacturer, full time. She travels the U.S. giving pottery demonstrations on her artwork with slide shows on historical and contemporary artists and techniques. 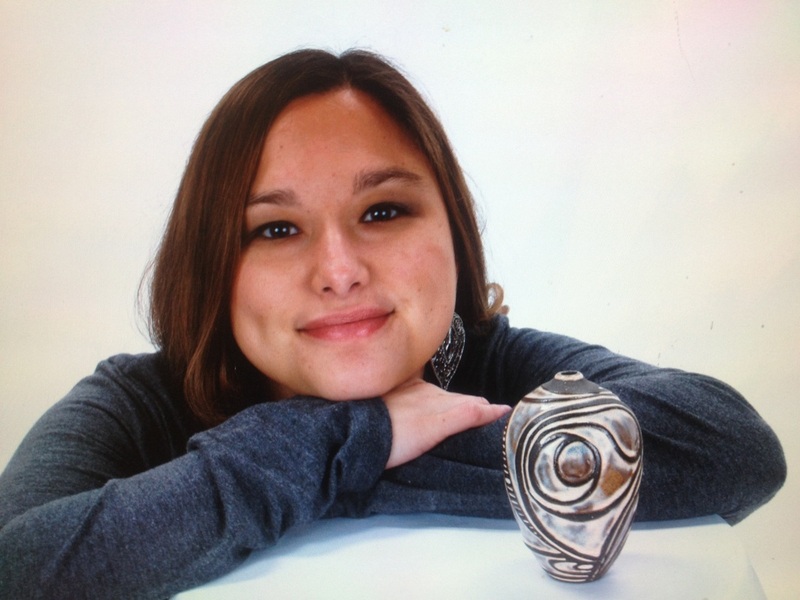 She is currently writing ceramic articles for Fired Arts and Crafts magazine while being very active in her own artwork creating Native American influenced ceramics in a contemporary style. Her pieces are displayed at shows across the country. She currently resides in Seattle, WA but can be found in numerous states across the US throughout the year. Bachelor of Arts, Studio Arts, ceramics concentration. 11/2/2012 – 12/4/2012 “Cup of Comfort International Ceramic Biannual 2012” at the Swope Museum – Halcyon Art Gallery, Juror: Ray Chen. 6/16/2012 – 7/28/2012 “Abstract.” at the Brickton Art Center, Juror: Frank Juarez. 3/2011 “2010 International Cone Box Show” at Lawrence Arts Center, Jurors: Peter Callas, Malcom Davis, Inge Balch. 9/2010-10/2010 “2010 International Cone Box Show” at Lawrence Arts Center, Jurors: Peter Callas, Malcom Davis, Inge Balch. 2/17/2009 – 3/7/2009 “2009 Skyway Juried Art Exposition”, Prairie State College, Chicago Heights, IL, Jurors: Carla Carr, Javier Chavira, Leonard M. Ferris.